What if a company were so treasured and trusted that people literally took to the streets - by the thousands - to save it? That company is Market Basket, a popular New England supermarket chain. After long-time, CEO Arthur T. Demoulas was ousted by his cousin Arthur S. Demoulas, the company's managers and rank-and-file workers struck back. Set against a backdrop of bad blood and corporate greed, We Are Market Basket is a page-turner that chronicles the epic rise, fall, and redemption of this iconic and uniquely American company. In many ways, the story of Market Basket, a regional grocery chain in the northeast, is a familiar one: The heirs to a family business engage in a tug-of-war for control of the company. In this case, however, the community, including employees, managers and customers, responds with massive action in favor of one faction of the family over the other. They mobilize with protests, petitions (organizers of one last-minute petition hoped for a few hundred signatures; they received 40,000) and widespread boycotts by customers — not to hurt the company but to save it — making the battles of Market Basket unique in the annals of family-business history. 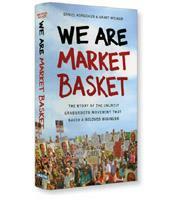 As told engagingly in We Are Market Basket, written by marketing professor Daniel Korschun and newspaper reporter Grant Welker (who covered the contentious saga for the local Lowell Sun daily), the battle of Market Basket was not just a war between cousins but a fight between two opposing views of the purpose of business. On one side is Arthur T. Demoulas, the son of Telemachus Demoulas, son of founders Athanasios and Efrosine Demoulas. On the other side is his cousin, Arthur S. Demoulas, son of George Demoulas, who is another son of the founders. At one point, brothers Telemachus and George ran the chain in harmony. There is no such harmony between their sons. There are years of recriminations, lawsuits and board battles too complex to review here. However, for the authors, the core of the conflict is in two opposing business philosophies. For CEO Arthur T. Demoulas, the purpose of the company, write Korschun and Welker, was to serve the needs of the loyal low- to middle-income customers at the low-priced store. Following what is now known as a “stakeholder” view of business, Arthur T. ensured that the company fulfilled the needs and desires of its employees, served the communities in which its stores were located and even went the extra mile for its loyal vendors. We Are Market Basket offers numerous stories of Arthur T.’s stakeholder philosophy. For example, Arthur T. not only empowered his employees but also took a personal interest in every employee: He once offered to pay to move a store director’s severely injured daughter to a better hospital. Instead of cutting off a vendor that had fallen on hard times, he helped the vendor restore his business. The company also considers itself a corporate citizen and contributes millions to charities. Arthur S. and his supporters, according to the authors, had a completely different view of the business: A company existed to make money for shareholders. Arthur S. disagreed with the large employee profit-sharing bonuses and other spending that didn’t benefit shareholders. When he gained control of the board, he and his supporters set out to fire Arthur T. and succeeded in June 2014. The firing led to huge protests in the street, walkouts by employees and most managers and a wholesale boycott of the stores by customers — a revolt that grabbed the attention of the northeast media. In essence, all of the stakeholders that Arthur T. had supported for so many years united and shut down the company. The board finally relented; Arthur T. was restored. Neither Arthur T. nor Arthur S. agreed to be interviewed for the book, but in some ways this only adds to the authenticity of the narrative. 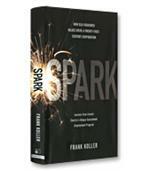 Many company books are written by the CEO, giving a perhaps overly simple and positive view of the company’s efforts. We Are Market Basket is written from the point of view of employees (known as “associates”), managers, vendors and customers. 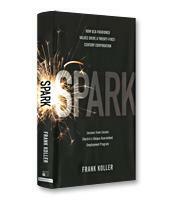 It is written by the “we” of the title and, for that reason, deserves to be carefully read by all managers who want to learn the secrets of a successful stakeholder strategy.